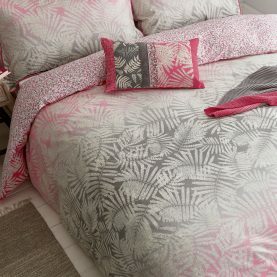 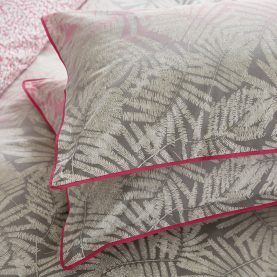 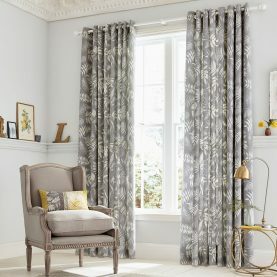 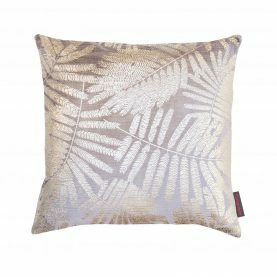 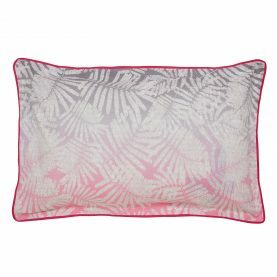 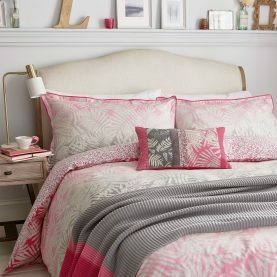 The Espinillo design features fanned acacia leaves with a soft dappled texture on a soft cotton background that fades from hot pink to stone grey. 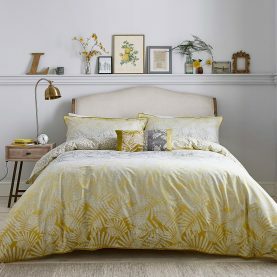 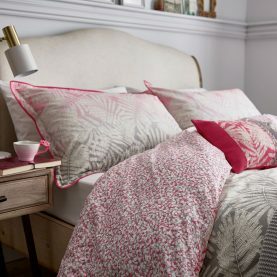 Tiny criss-crossing vines with delicate leaves create a confetti-like print on the reverse, glimpsed where the duvet is turned down. 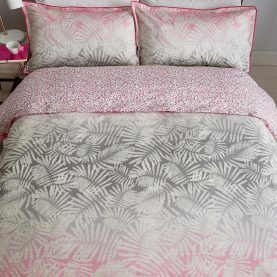 This bed linen is made from 100% cotton and has a deep pink piped border for a hotel finish. 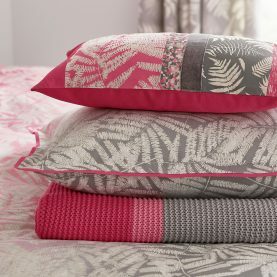 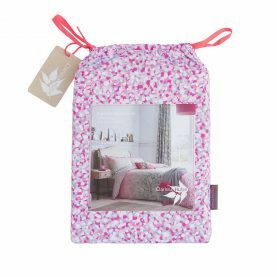 Accessorise with pink and grey patchwork cushions and a thick knit throw.